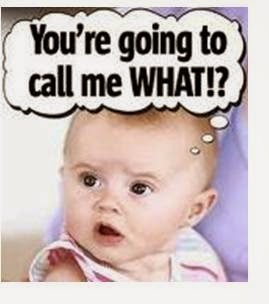 Child’s Name – Tell your guests what your child’s name means and why you chose it — perhaps you are paying tribute to a family member or to your ethnic heritage or perhaps you just like it. Child’s Heritage – Pay tribute to great grandparents and grandparents to highlight the continuity of family bonds from generation to generation. Include a moment of reflection for those who have passed on. Ask grandparents to offer the parents some words of wisdom about raising a child. Promises to the child – Share your thoughts on your role as parent, and hopes and dreams for your baby. Siblings or other peers – Invite brothers or sisters or cousins to participate in the ceremony by presenting a bouquet of flowers, a drawing, or a simple handmade gift to your child or just to say a public hello. Involving Adult Relatives – Might like to share their view on the importance of family, reminiscing on their own experiences. Write and sing a song or poem promising the child their continuing support as the child grows up, or promise to introduce the child to their favourite sport or favourite hobby etc., making the whole event are family occasion that they will remember for many years to come. Appointing Godparents/Guideparents/Guardians/Sponsors/Mentors – Share with your guests the reason for your choice, and ask them to publicly declare that they will help to nurture your child. Involvement of all Guests – Let all present, as a group, or individually, affirm their support as responsible for bringing up the next generation. Create a Wishing Box – Let each guest write a little note and put it in a wishing box supplied. To become more involved with the child, let the note suggest how the guest hopes to share his/her time or talent with the child to help it as it grows into adulthood. Begin a Scrap Book – Bring a scrap book or guest book and when guests arrive, ask them to write a message for the child. Invite messages of hope and promises for the child, so that when the child is older, he or she can enjoy reading them. Use Birthday Cards – Buy birthday cards, from age 1 to 21, and ask family groups to select one and write a wish for your baby. Open one on each of the birthdays, and read the wish, while reminiscing over the event and people who were present when the card was written. Share a meal – If having a sit down lunch, place a candle at each setting, and ask each person to light the candle while saying a silent blessing for the baby. the gift of a flower, a symbol of life’s beauty and the unfolding of life. Hand out Certificates – Give Certificates to all the people who you feel are connected to the baby – Godparents, Grandparents etc., or a certificate to each guest with your baby’s picture on it as a memento of the occasion.